FileMaker DevCon 2018 Recap ]). FileMaker has a world-class community of passionate users that are available to help whenever you get stuck. It has a robust ecosystem of professional developers that are ideally suited to provide professional training and to help when an app has caught on within a business and needs professional management to spare the original innovator from having a permanent second job. IT Solutions caters to the citizen developers across the world by offering services like training, one-on-one mentoring and management and support of in-house-built apps as well as custom FileMaker solution development. Keep an eye out for our next post that will discuss the next major theme from DevCon 2018: Integration. 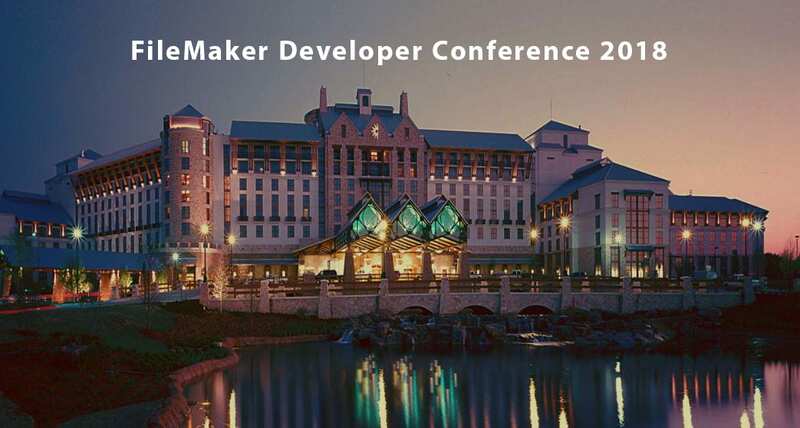 With four days of content, 5 tracks, and over 80 speakers, FileMaker DevCon is the biggest event of the year for anyone using FileMaker. This year, ITS brought a team with over 60 years of combined development experience to the beautiful Gaylord Texan Resort in Dallas, and we can say that the event did not disappoint! Although each team member broke up to attend different conference sessions, we all picked up on a few of the same themes again and again thoughout the duration of the conference, and we'd like to share them with you in a series of blog posts. Workplace Innovation Platform is the new message FileMaker is using to describe its software, and we all immediately agreed that this is a perfect way to describe what FileMaker is. Integral to the message is the idea of "citizen developers" – business people that are tired of painful or inefficient process and take it upon themselves to improve things. Whether it's a dizzying array of spreadsheets, myriad line-of-business apps that don't talk to each other, or collaboration confined to email – most of us have been in what FileMaker has termed the "work rut". Citizen developers are using FileMaker and their own innovative spirit to escape the work rut, to take their work with them wherever they are, and to bridge the gap between traditional IT and their ever-changing needs. It is accessible to business people of all kinds looking to solve problems because it is easy-to-learn and low-cost (check out the FileMaker Free Trial [https://content.filemaker.com/filemaker-trial]).